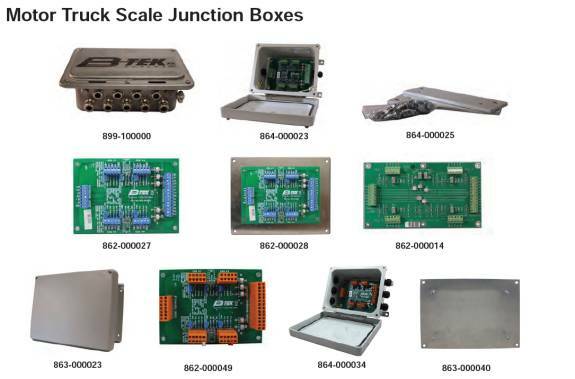 Selection of B-Tek Motor Truck Scale Junction Boxes and Summing Boards as well as floor scale j-boxes and summing cards as well. 864-000025 Truck Scale FRP Junction Box Retrofit Brackets New Style - For use w/ new style junction boxes above - set of (2) brackets will bolt to new style. 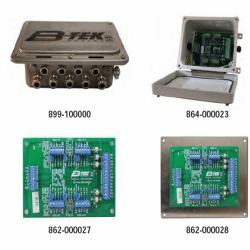 Brackets match mounting hole pattern on existing weighbridges.